This video and workbook is designed to help you recognize signs that your child may be a victim of bullying and how to address it. This series is to help YOU help your child develop a healthy self-esteem and build social skills early on, as well as how to address the bully and their behavior. 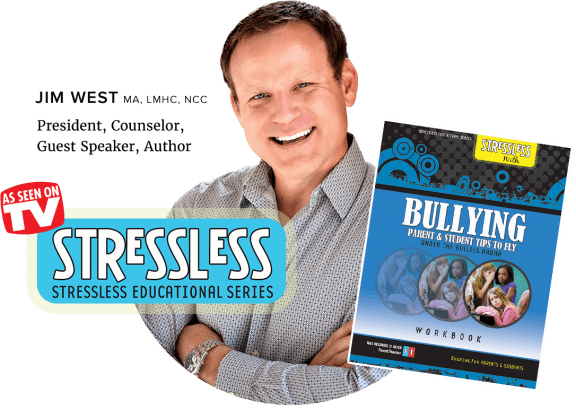 I know you’ll be so impacted by my StressLess with Bullying series that I’m giving you the first 3 videos in the series completely complimentary. What Parenting Style contributes to making your child a target for bullies? Developing a Healthy Self-Esteem Now or in the Early Years! Building Social Skills to have a Posse! Learn to make friends so you are not alone! Making Peers Feel Like a Million Bucks! What Parenting Style may cause Bullying Behaviors? What if I have heard my child/teen is bullying others? Sorry doesn’t cut it! | School Program to Resolve Conflict with Bullying and Victims where the Victim carries the Victims Backpack for the Day in place of suspension! Sorry doesn’t cut it so learn about a program that is getting traction in several public and private schools. Who shows up on the Bullies Radar? According to the American Psychological Association, Bullying is defined as a form of aggressive behavior in which someone intentionally and repeatedly causes another person injury or discomfort. Bullying can take the form of physical contact, words or more subtle actions. The bullied individual typically has trouble defending him or herself and does nothing to “cause” the bullying. 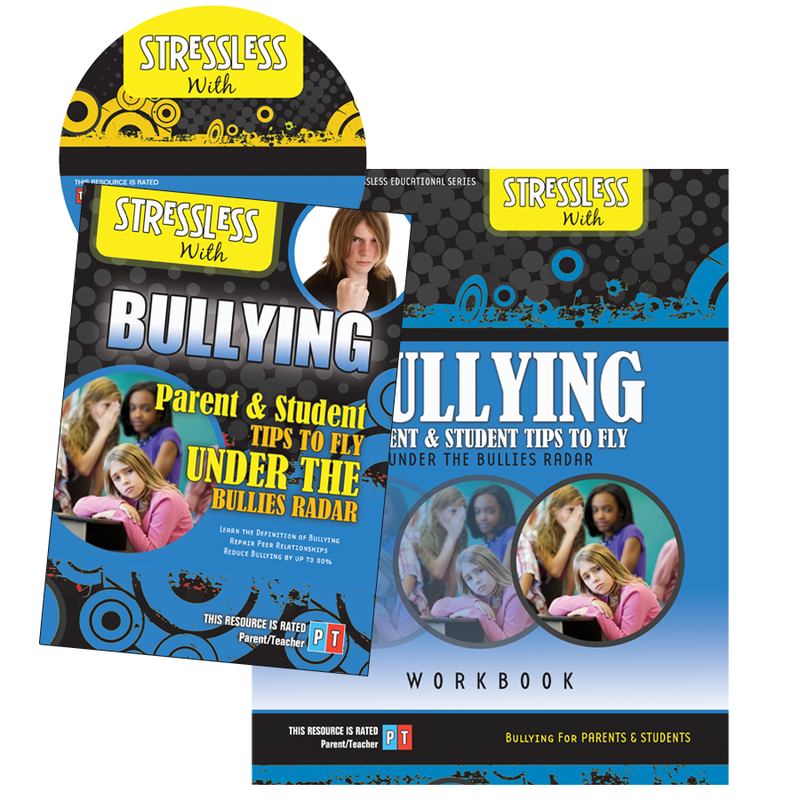 The StressLess with Bullying product will assist parents and students with identifying bully patterns. In addition, you will find the answers and tools needed to develop healthy coping skills and strategies for success. “Sorry, Sorry, Sorry! Sound familiar. Ask a 2nd grader what does “Sorry” mean and they will say “That I will never do it again!” However, we all know they are just sorry because they were caught and the victim knows it’s going to come their way again. Victim: “I was hurt or frustrated, but I forgive you” – Important for the Victim to name the feeling. What are the Benefits of Forgiving? Research says a forgiving victim lives 8 years longer than one who holds on to forgiveness! Apologies are empty and still leave the victim feeling they can not trust the person as much as they did before the person hurt them. Download ways to quickly “Make it Up” to the person so they will trust you more than before they were hurt. If I did something mean I can do something nice for the victim. If I said something mean I can say 4 nice character or compliment their personality or talents. Reduced Bullying by 50% in your Home or School within 2 weeks. Retain Families with this program. Schools have reported an increase in Retention of families of Victims and been able to Rehabilitate some of the Bullies. Use these 3 Steps to Resolve Conflict to Deal with Bullies! Use Positive Socialization & Repair Relationships by allowing Bullies to “Make It Up” to the one they hurt in place of detention or suspension. Reduce Tardies and Discipline Problems by 30% in the first week by having students greet all their classmates by the end of each week: “Good morning Sasha! Positive Socialization – Start your day at your school with the students greeting 4-5 different students day in their home room class. “It’s good to see you! I love your blouse.” “Good Morning.” Handshake, Smile, etc. Apologize – Incorporate positive conflict resolution plan listed above: “I apologize for hitting you, I was wrong and will try not to do it again, will you forgive me? 3 Easy Steps to Repair Peer or Sibling Relationships & Reduce School Bullying by Teaching Positive Socialization. Positive socialization is the type of social learning that is based on pleasurable and exciting experiences. Peer pressure is not always a bad thing. For example, positive peer pressure can be used to pressure bullies into acting better toward other kids. Positive Peer Pressure is Peer Support. This program teaches youth workers how they can utilize peer support in promoting positive youth development. This program, now used in Elementary/Secondary Schools, & Youth Groups, across Florida is reducing discipline problems by up to 50 percent, eliminating the need for after school detention programs, and is giving students the emotional security to participate more fully in the learning process. Instant Results: Faculty at each school that participates in this consult is amazed at the quick turn around in the classroom. Assimilation of new students: Students report “everyone in the class is talking to everyone” by simply teaching students how to greet each other and requiring them to greet each class member by the end of each week. There is a 30 Day Money Back Guarantee! We are sure you will be satisfied and you can keep the workbook and video even after getting a full refund! 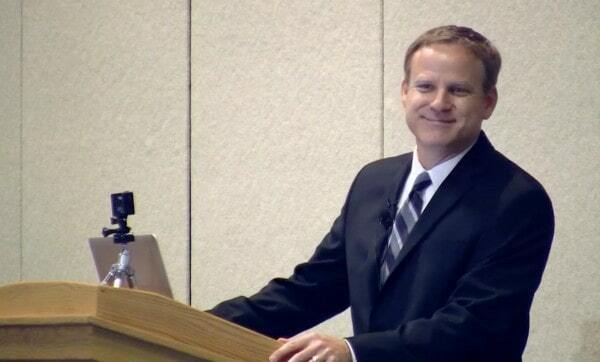 Jim West is an author, international communicator, coach, and nationally certified and licensed counselor. He specializes in Oppositional Defiance & Attention Deficit Disorder. He is available for a Consultation at your school or youth group. 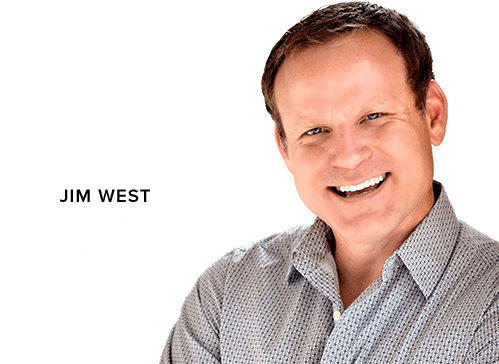 To Book Jim West for Media or Guest Speaker Engagements, call us at 407-248-0030 and please include your name, company/organization, date and location. We will follow up with you directly about scheduling to add greater value to your audience. Thanks!